With the departure of Steve Taylor, Marquette now has three open scholarships for 2015-2016 and zero seniors. The Golden Eagles are in dire need of a point guard, rebounding, and three point shooting. All the above problems can be remedied with the addition of a free agent…err…graduate transfer or two. 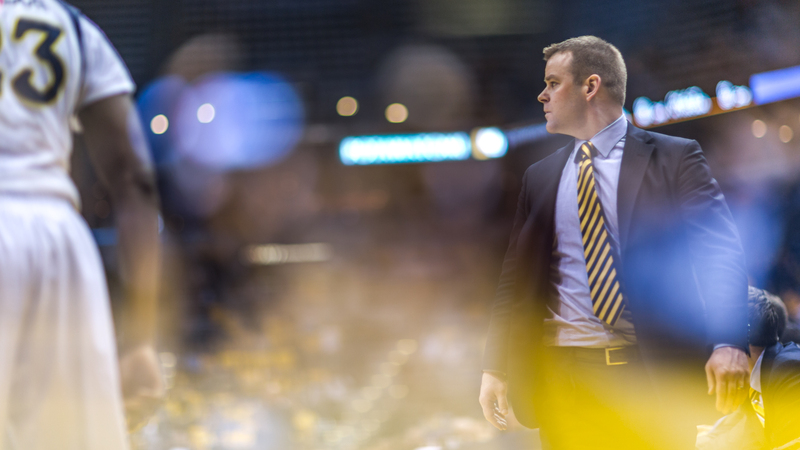 Paint Touches will be keeping the Marquette faithful updated with the Free Agent Tracker, a continuously updated report on all the immediately eligible transfers with the resume to possibly deserve a call from Coach Wojo. Half the names on the last top 10 have been swept up in the last week. Three mid major big men have made themselves available. Two guards who have been on the watch list for a few weeks now round out the last two spots of the top 10. Here is a name that might be familiar to Marquette fans. Back when the Big East was dominant and football schools roamed the conference, Carter was a very promising point guard from New Jersey who picked local Rutgers over several big name programs. As a freshmen, he was named to the Big East All Rookie team, hanging with the likes of Moe Harkless, Andre Drummond, Jerian Grant, D’Angelo Harrison and Ledontae Henton. As a sophomore, he averaged 15 ppg and had good assist and rebounding numbers. Carter transferred to Florida where his numbers did dip significantly but were still solid. He also played a lot more under control than he had at Rutgers, dropping his turnover rate tremendously. As a starter from a high major program, Carter could compete for and would likely win a starting job from day 1. He is a score first guard but has run the point at both Rutgers and Florida. A Big East tested scoring guard could be invaluable to Coach Wojo next season. Johnson was the first man off the bench for Jamie Dixon during the Panthers’ first season in the ACC. The 6-6 forward utilized a variety of scoring techniques including a solid three pointer and some thunderous dunks. His season was cut short however when he tore his ACL. He was set to be one of the main scorers for the Panthers this season when he was suspended for an undisclosed violation for the entirety of 2014-2015. The suspension makes pursuit from Marquette seem unlikely. However, if the nature of the violation wasn’t too grievous, Marquette may be able to stomach it for an ACC proven wing. Johnson would most likely start at the three provided Wally, Sandy, Cheatham, Anim, or Jajuan didn’t beat him out for it. Johnson is also a Baltimore native, one of Wojo’s favorite recruiting grounds. UPDATE: Committed to St. John’s. At least he’s staying in the family. Grady is the second stud to graduate transfer out of Cleveland State this season. He has good size for a Horizon league PF and is probably the best rebounder left on the board. He does most of his damage in the post, though he has the ability to step back and hit a 15 footer. He has hit from three but not very often (4-10 last season). His defense is above average for a mid major forward. The biggest concern with Grady is his disappearing act against high major competition. Against his three high major opponents last season, Grady averaged a dismal 4.7 ppg, 3.7 rpg, 1.0 apg, 0.3 spg. Granted, his three high major opponents were Louisville, Virginia, and VCU, three of the most dominant defenses in Division 1, but those numbers could be concerning to possible suitors. Despite that, Grady should get looks from high majors. He could be a decent replacement for Steve Taylor and would most likely come off the bench to spell Ellenson and Fischer and add some tenacity on the boards. You want a pure scorer? Look no further than Ike Nwamu of Mercer. The 6”5 wing was one of the top scorer in the Southern Conference and lead a Bears team that finished in the top three in their conference. Nwamu was deadly from beyond the arc, hitting 80 treys on 37% 3P shooting. He is also very good off the bounce and has the tendency to do this. Nwamu isn’t well known for his defense or his rebounding, but his scoring ability would make him a valuable pick up for most high majors. If Wojo landed him, Nwmau would compete for the starting job on the wing with Cheatham, JjJ, and Wally. Even if he didn’t start, a three point shooter of his caliber is something that Marquette woefully needs. UPDATE: Nwamu has set a visit to UNLV. No other visits scheduled at this time. UPDATE: Committed on his visit to UNLV. Gordon was the starting two guard from UMass and the first openly gay Division 1 men’s basketball player. He is a strong slashing guard with PG skills. He is also a disruptive defender who fights for rebounds with the fervor a forward twice his size. He has run the point at UMass and could be an option to start alongside Duane Wilson at either the 1 or the 2. His outside shot is non-existent (1-12 last season) but Marquette fans are used to that. Maia is probably a stretch on the list but the former Brown Bear has size and knows how to use it. He has been the starting center in Providence since he arrived on campus and has a career 8.1 rebounds per game. Maia could fill Marquette’s rebounding need but it is hard to see a three year starting wanting to transfer to a team with an established starting center in Fischer and a stud PF freshman in Ellenson. Jackson has been the starting 2 guard in Chestnut Hill since arriving on campus in 2011. He was set to be one of the main scoring options in the 2014-2015 season but was hampered and eventually redshirted for a lower leg injury. He does most of his damage from the three point line (53 out his 66 FGM in 13-14 were from three). He has hit 50+ 3Ps in all three seasons of his career and has never had a lower 3P% than 37.9%. He has spent some time at the point where he has a reliable handle and a shot to keep defenders honest. He is an average defender at best with limited slashing skills. A bit of a rich man’s Jake Thomas. Should he come to Marquette, he would be a great sniper to come off the bench and may be able to backup Carter at the point. Jackson has been battle tested in the ACC and could absolutely help a high major team. Nelson-Ododa was a key rotation player for a Richmond Spiders team that found itself on the wrong side of the bubble last season. He was second on the team in rebounding and was their top rim defender with 1.7 blocks per game. Despite his size and skill inside, Nelson-Ododa has a decent shot from outside. He has range out to the three point line, making double digit three pointers in each of his three seasons. Nelson-Ododa would add some great energy off the bench. He could fill the Steve Taylor void by backing up both Henry and Luke. Jarreau was the first man off the bench for the Huskies this season. He might have been the starter had he not had Robert Upshaw, one of the most dominant centers in the country (4.5 bpg) playing in front of him. Jarreau is a very reliable rebounder, getting 4 boards or more in every game this season where he got at least 18 minutes of playing time. He is solid defender and has a few different post moves that he can score on. He also has the ability to step back and hit a jumper. He had only hit two three pointers in his entire career going into the end of the 14-15 season. But in the last two contests against #13 Utah and Stanford, Jarreau all of the sudden went 4-5 from beyond the arc. Probably a red herring, but worth noting. Jarreau has backed up both the PF and the C position and would do so if he came to Marquette. He would be the first big off the bench to spell both Henry and Luke. It might be hard to convince a player who was getting starters’ minutes at another high major to come and be a backup for a season, but perhaps the chance of playing for a winner will be enough to convince him. Olivier was the starting center for a very solid mid-major in Eastern Illinois. The 6-8 Chicago native has a large body and has used it very effectively against Ohio Valley opponents. Olivier scores most of his points with his back to the basket. He doesn’t have much range on his shot. Wojo does seem to prefer forwards who can shoot the three so Olivier may not be the best fit. He would provide some great rebounding and blocking off the bench. Could offer some valuable depth to Marquette’s frontcourt. Remember that player to be named later when Marquette traded Dawson to Liberty? Gielo could be it. Liberty was a mid major bottom feeder this season, but that may not have been the case if Gielo hadn’t suffered a stress fracture in his right foot during the first game of December. The 6”9 forward was a starter in 13-14 and was averaging 12.0 ppg and 6.3 rpg in 14-15 before his injury. He has a very reliable three pointer for a man his size (>40% the past two seasons) and can rebound and dunk with the best of them. Should Marquette receive his commitment, he would most likely come off the bench for Ellenson and Fischer. He would fill in Marquette’s needs for both a three point shooter and rebounder. Despite coming off the bench, he could expect to get a hefty amount of minutes, potentially 20 or more a game. Plus, he is a native of Poland, which makes him a sure thing for Coach Wojciechowski. White was one of the starting posts for the Trojans of Arkansas Little Rock. He is a forward with good size and the ability to step back to about 15 feet and make a jump shot. He is an above average rebounder and has great defensive instincts. He is great rim defender, averaging almost 2 rejections a game. He has struggled with knee injuries throughout his career, redshirting his freshman season and missing half of last season. The jump in talent from the Sun Belt to the Big East is also staggering. Should Wojo go after White, he would slide in nicely to backup forward role behind both Henry and Luke. This one is hard to predict. Smith was off to a pretty nice start for the Thundering Herd, scoring 12 points a game and nailing 2 threes a game before suffering a season ending shoulder injury in the fifth game. He received a medical redshirt and has been cleared to play his last season at a new university. He has good size and shooting ability but does most of his work as a spot up shooter. Would be a risky offer. Most likely would be part of the Wally, Johnson, Cheatham, Cohen, and Anim committee competing for playing time at the wing. Daniels has been on Paint Touches’ radar for a while, but this is the first time he has cracked our top 10. Daniels was the backup point guard for a very bad Drake Bulldogs team last season. He makes the list not because of what he did last season, but for what he did before that. Two seasons ago, Daniels was the starting point guard and Drake finished with a much more respectable record. In the 13-14 season, Daniels averaged over 10 points per game, with nearly 3 assists per game while shooting 46.6% from three. That is the stat line of a player who could help Marquette next season. Daniels would compete with freshman Traci Carter for the starting gig and offer some much needed depth and shooting at that position. It is unclear if he still has a relationship with Assistant Coach Mark Phelps who recruited Daniels to Drake. Guyn has been a backup guard at for Mick Cronin’s Bearcats since they were still in the Big East. The Lexington, KY native has earned his spot in the rotation by being one of the better perimeter defenders on the Bearcats’ roster. His offensive game leaves a lot to be desired, he’s never had a season FG% higher than 39.1%…and that was his freshman season. He can hit the three (29 makes in 13-14) but it’s not a reliable option for him. Guyn has played some time at the point so he could add some depth. Guyn would be a backup at either the one or the two and could add some energy on the defensive side of the ball. You might want to add this name to the list — http://www.missouristatebears.com/sports/m-baskbl/mtt/devon_thomas_846722.html — Devon Thomas is currenty at Cloud County CC. Hey Tulsa Warrior, thanks for the tip. I am not including any juco transfers on this list. They are definitely free agents but I simply don’t know enough about the juco recruiting scene to give a fully informed opinion. But I definitely like what he could potentially bring. I say sic em Wojo!